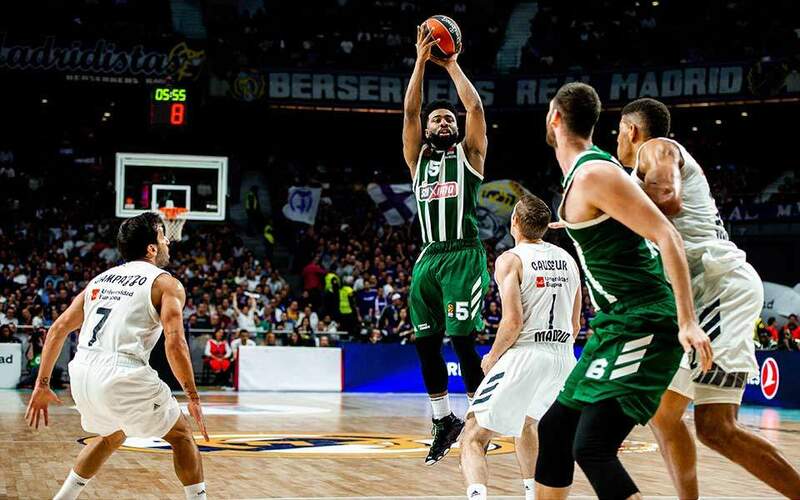 Rick Pitino’s Panathinaikos produced its sixth consecutive Euroleague win, and probably the most important one too, beating Armani Milano in Italy, while Olympiakos slumped to a shocking loss at Gran Canaria. Nick Calathes once again led Panathinaikos to a glorious triumph at Armani with a 95-83 score on Friday. The result has taken the Greek champion to a 15-13 record and means it needs one win in its two remaining games to make the playoffs. 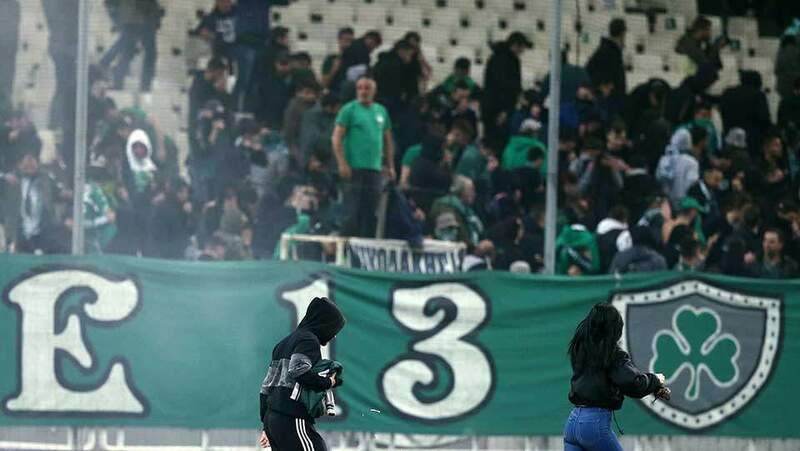 In front of some 300 Panathinaikos fans who made the trip to Cantu, the Greens produced another spectacular display in a game that would have brought them on the verge of elimination in case of a defeat. 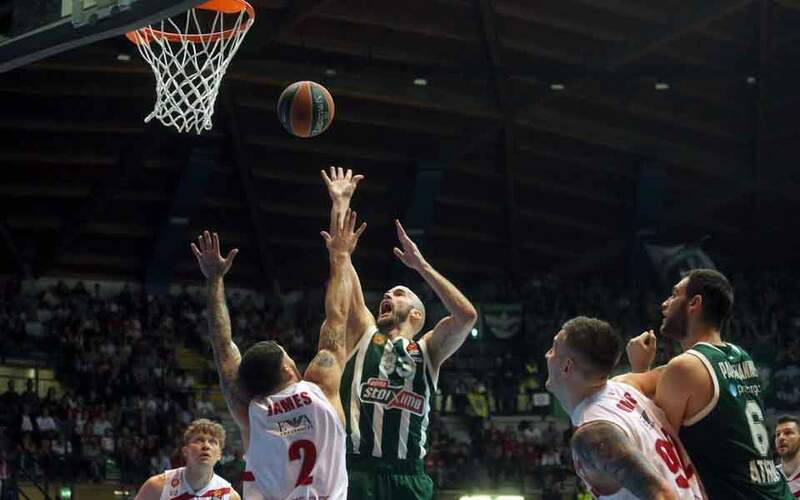 Armani made a positive start to the game and the lead kept changing hands in the first three quarters, with the Panathinaikos lead of 34-29 being answered by Armani’s 47-44 half-time advantage. 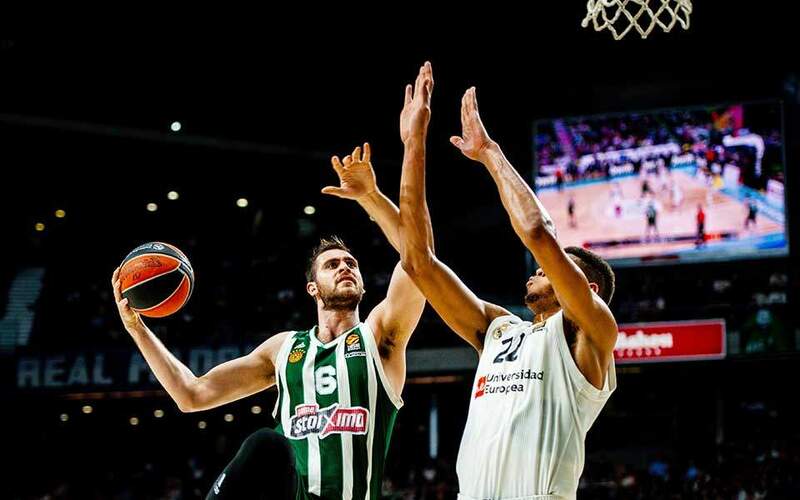 Yet toward the end of the third period Panathinaikos started to pull away thanks to its improved defense and impressive offense, and built an advantage of around 10 points it held on to for all of the last quarter. The Greens apparently knew how to contain their former player and Armani superstar Mike James (six turnovers, four fouls committed), with Thanassis Antetokounmpo giving him nightmares through his defensive play. Calathes had one of his best Euroleague nights with 27 points, 14 assists and eight rebounds. Keith Langford seconded him with 17 points. Olympiakos, on the other hand, suffered a painful as well as unexpected 23-point loss at Gran Canaria with a 90-67 score on Thursday, deleting the positive picture it had painted 48 hours earlier against Bayern Munich at home. Gran Canaria sensed the opportunity it was given by a mediocre Olympiakos and led throughout the game with a distance that got as wide as 29 points (90-61) just before the end. The Reds, now on a 14-14 record, had no answer to the hosts’ quick game, and after a 40-30 deficit at half-time they conceded 29 points in the third quarter to give up trying in the absence of Vassilis Spanoulis and Janis Strelnieks. Briante Weber made 13 points for Olympiakos and Axel Toupane added another 12. The two remaining games of Olympiakos are at home against Zalgiris Kaunas and Darussafaka, while Panathinaikos also has two home games ahead, against Real Madrid and Buducnost. 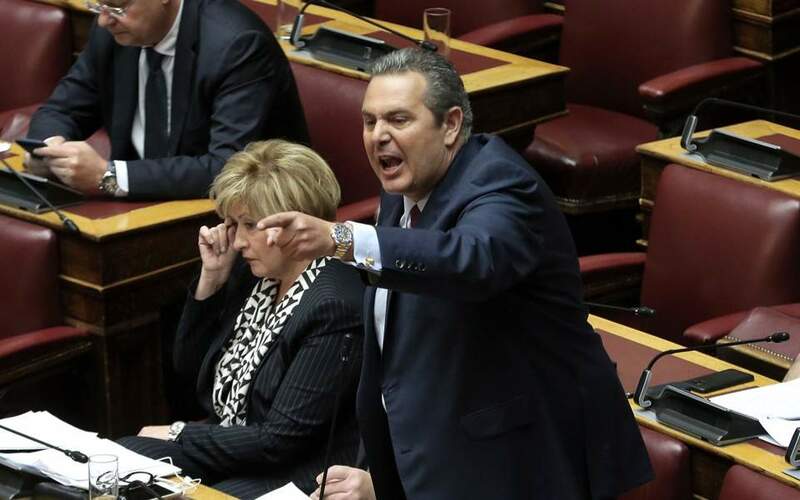 Both Greek teams can still make the pla-offs, but Panathinaikos is far closer.